Separated from his family and caught in a cycle of gambling and debt, Jim (Damian Hill, Pawno) has less than a day to repay a violent loan shark. His day is turned upside down when he must look after his young son, Alex (Ty Perham), who is on school holidays.Jim's relationship with his son is tested as his plans to pay back the loan shark fail. When his last desperate effort to repay the debt puts his son's life at risk, he must make a choice between his past and a second chance at life. 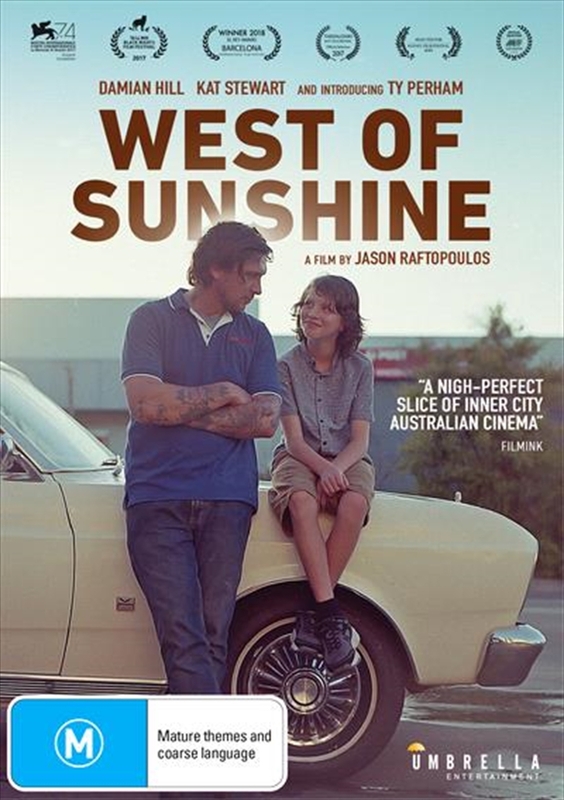 Also featuring Kat Stewart (Underbelly, Offspring), West of Sunshine's rough, down-at-heel Aussie vibe prompts one to set it alongside other recent bawlers and brawlers, such as Kriv Stenders' Boxing Day or David Michod's Animal Kingdom. (The Guardian).